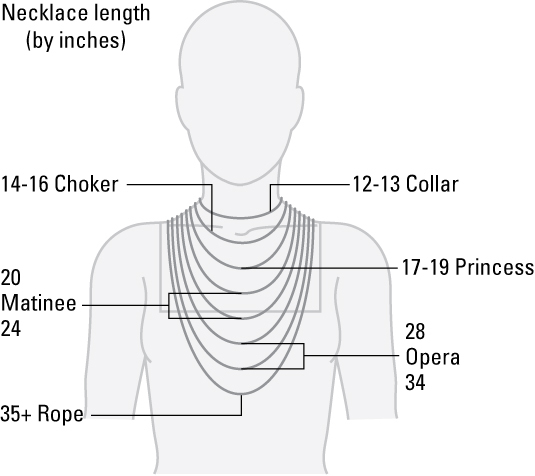 And if necklaces are your specialty, check out this image, which specifies the names assigned to various necklace lengths. This social media website allows users to curate content, or create virtual, visual pin boards of things that inspire, amuse, or delight them. Users pin images of jewelry pieces, outfits, works of art, recipes, home décor items, and more. When you click on a picture, the link should take you to the original website that posted the image. Often you can find the details about how to make or where to buy the item in the picture. You can conduct a search for something as general as “rings” or as specific as “DIY wire-wrapped rings” to find the inspiration you’re looking for. Sign up for a free account, and start pinning! You can set up the Pin It button to work with your Internet browser so you can pin things to your Pinterest boards from just about any other site online. This is a terrific site for the beginning or advanced jewelry maker. You may recognize it as an online marketplace for handmade goods, and it certainly is that. However, it’s also a great place to purchase hard-to-find or unique supplies and find jewelry-making tutorials. Look here to get daily inspiration from the thousands of shops selling handmade goods all over the world. And if you see something you like, you can Pin It to your Pinterest board so you can find it again later. Fire Mountain Gems and Beads is one of the largest sellers of jewelry-making supplies in the world. In addition to its huge online catalog, its website includes free tutorials, a design gallery with full supply lists and instructions, and a database of frequently asked jewelry-making questions. You probably already know that this video-sharing website allows users to upload videos and share them with the world. Contrary to popular opinion, it’s not just a repository of clips of cats playing the piano, irritating animated citrus fruits, or misguided stunt falls. Jewelry makers have uploaded thousands of videos on every jewelry-making technique imaginable. This site can be a good place to start if you’re looking for free video tutorials. But remember, some are high quality and others are low quality. If you watch a tutorial you like, look to see if the creator has a YouTube channel you can subscribe to so you’ll be the first to know when that person posts a new video.